Wood is a wonderful material that brings a rustic and warm touch to a room and wreaths are a perfect addition to your home. 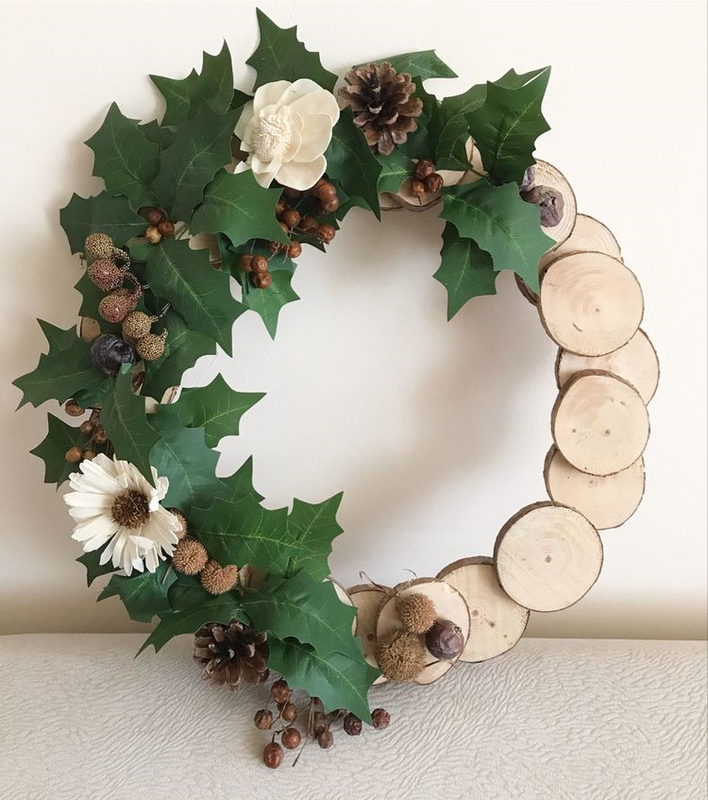 Especially for the colder seasons, this Rustic Wood Slice Wreath can be a fantastic item to display over a winter or fall mantel or to adorn an empty wall. The Rustic Wood Slice Wreath can look stunning when hanging on a door, both inside or outside. If you make some smaller wood slice wreaths with mini wood slices, you can use them as place settings by prettying up your table decor for a special occasion or group them together to hang them on a wall. To do that, consider using a ribbon to tie them together and hang them one beneath the other.